You are here: Home / News / Club News / AskThePro: Should I Invest in a New Racket? 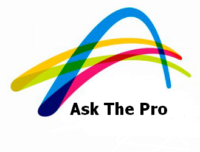 AskThePro: Should I Invest in a New Racket? Finally got a new Babolat racket from Scottie last week. Scottie, Tebbs and Knoxie help me choose a Babolat Aero Drive that pretty well matched my old faithful Head Pro racket. Yep, the grip felt good in the hand when I first picked it up — always a key test in changing rackets. In fact, my new Babolat plays like the old Dunlop Maxply that Lew Hoad used to use. I got the heavier pro model and Tommie strung it up with my hybrid string pattern which increases the ‘sweet spot’. While I felt a little guilty in pensioning off my Djokovic Head, nevertheless after 4 years it was time. During my last restring, Tommie gently reminded me that my Head racket shape was no longer ‘symmetrical’. I guess about a dozen plus restrings will do that to a racket. Tennis rackets start to break down the moment you first string them. And while modern materials technology have made rackets more durable than ever, they are not indestructible, and their life is limited. Both playing and stringing effect the life of the frame. Each time you hit a ball, the frame distorts backward to absorb the impact, then bends forward as it returns energy to the ball. Over time, this process damages the bond between the thousands of composite graphite fibers in the frame. Eventually, the frame loses stiffness, becomes “soft” and you lose power and control. Phew — thought it was just me getting older. Restringing puts even more stress on the racket head. During stringing, the frame deforms before returning to its regular shape. This eventually breaks down its structural integrity. Obviously, when you see visible cracking in the frame, you know it’s time for a replacement. But if your frame still looks OK, yet isn’t performing the way you remember, and you’ve got a GOOD STRING job, replacement is suggested. Most club players who play two or more times a week are advised to update their rackets every two years or so. Aggressive players who blast the ball with big western forehands may need to update more often. And remember the frames/strings technology in the newer rackets are typically more forgiving, so your miss hits are more likely to go in! As my mate Howard and fellow pro says, you’ve got to manage your limitations — and using better technology (whether frame and/or strings) is a great way to do this. Cunning and guile will only get you so far! Invest in the technology! Time for a change? Suggestion for Father’s Day?? Go talk to Scottie or Tebbs when you want some equipment advice. https://www.manlylawn.com.au/wp-content/uploads/2017/08/POST-askthepro-e1555388900760.png 152 200 Rob Muir https://www.manlylawn.com.au/wp-content/uploads/2017/01/manly-lawn-tennis-club-logo.png Rob Muir2018-08-28 18:02:122018-08-28 18:20:45AskThePro: Should I Invest in a New Racket?